We met our Reading Buddies in Mrs. Litberg's first grade class this month. We read The Stubborn Pumpkin and had fun trying to help the poor farmer pull that stubborn pumpkin from its vine. Then we created pumpkins using a glyph or code. Fourth graders helped their first grade buddies follow the directions to create these pumpkins that share a little bit about our favorite fall activites. ​We look forward to meeting with them again in November. 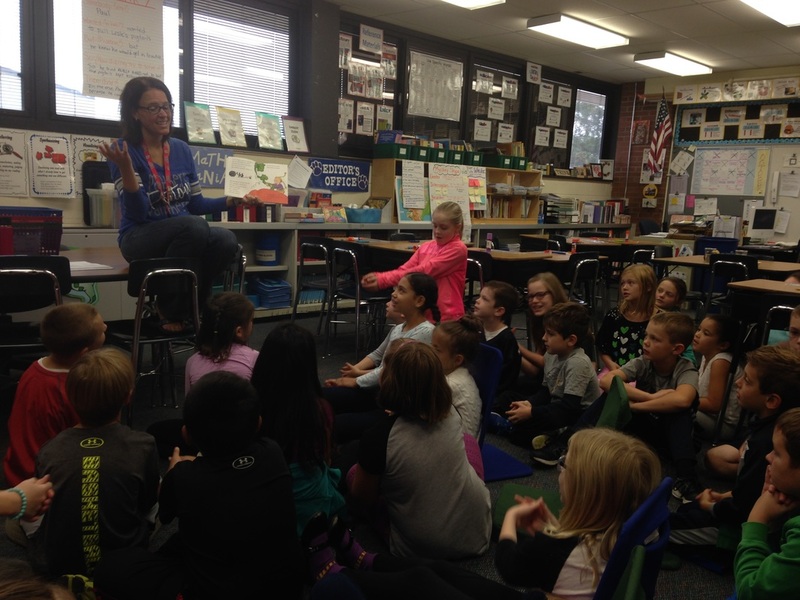 Click here to see more pictures from our October Reading Buddies!